Those involved in rodent control are encouraged to maintain their knowledge gained from achieving approved certification. When equipment or machinery is used near overhead power lines the risks must be considered and controlled in the interest of everyone's safety. 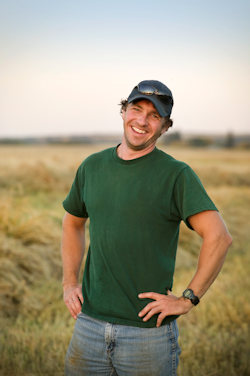 We provide a wide range of land based qualifications. Our portfolio has a strong focus on short courses to deliver the specialist skills required for a certificate of Competence (CoC) qualification. Some of these qualifications are required for Licence to Practise activities or for membership of a CPD register. All our qualifications are developed with industry experts and employers to ensure that they support the skills needs of today's industry. Look out for new qualification developments, which will include CoC’s from all industry sectors. • Our qualifications are especially valued by employers because they are developed in conjunction with key industry bodies. • Our qualifications are designed for learners – they’re flexible and easy to balance with a working life. Our portfolio has a strong focus on short courses to deliver the specialist skills required for a Certificate of Competence (CoC) qualification. Some of these qualifications are vital for Licence to Practise activities or for membership of CPD registers. As well as creating and assessing nationally recognised qualifications, City & Guilds can work with individual organisations through their City & Guilds Assured and Bespoke Qualification Services. We design and manage industry specific registers to record CPD. Scheme Members are supported by a dedicated customer service team. Do you need a copy of your certificate and ID card? Not a problem, give us your details and we can search our extensive database for your record. Click more to find out what to do. You should receive your certificate and ID card within 25 working days of achieving your assessment. If you have not received it please contact your centre/training provider in the first instance. 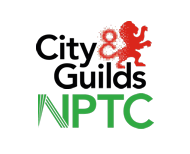 ​City & Guilds can help you gain job satisfaction by developing your knowledge and skills. Our certificates show employers you have the ability to do a job to an industry recognised standard. Our qualifications are are a great mix of practical skills and theoretical knowledge. Employers rate our qualifications and look for people who have them.